I was thinking about getting one, thinking it would be only a few hundred dollars, but a fursuit price made my jaw drop... are most fursuits really a few thousand dollars? This does not bode well for me and makes me very sad. No no no, partial fursuits can be found under $300, fullsuits around $900. We're talking used or not-top-notch quality. Only when you commission a professional builder and request features like digitigrade padding, etc does the price really go up. I hate the rumor that all fursuits cost a couple thousand. A thousand, yes, if you're going with an experienced, high-quality maker. But unless you're commissioning a super realistic suit with tons of add-ons, or an insanely popular maker with a huge backlog, it shouldn't top $1500 or so. 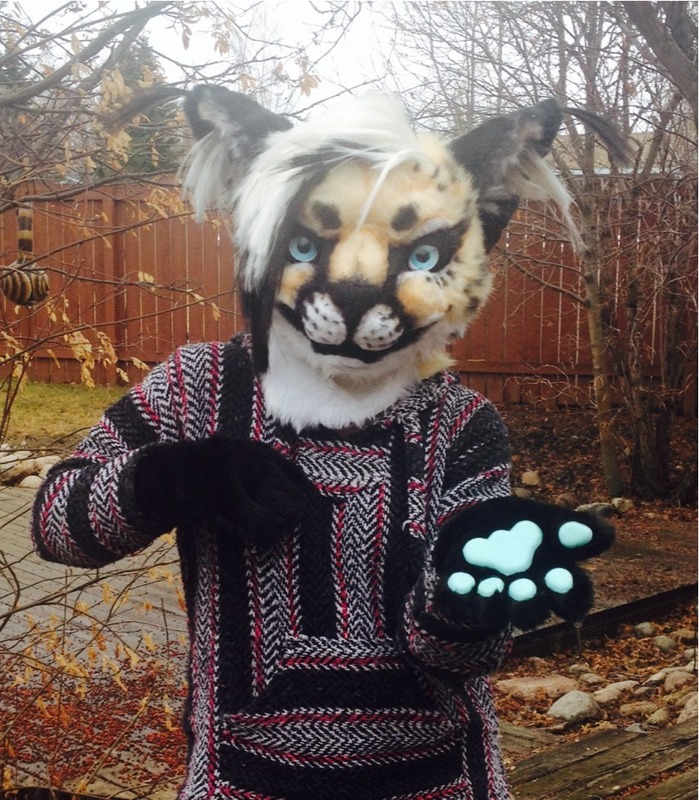 I actually prefer partials to fullsuits. I was gonna make Auburn a full suit but then I said, "naw partial"
Yeah, I totally know that pain. I'm curious though; since my "fur"suit is made from fleece, is it a teeny bit less hot than fur or equally as hot? It'll be nowhere near as hot. 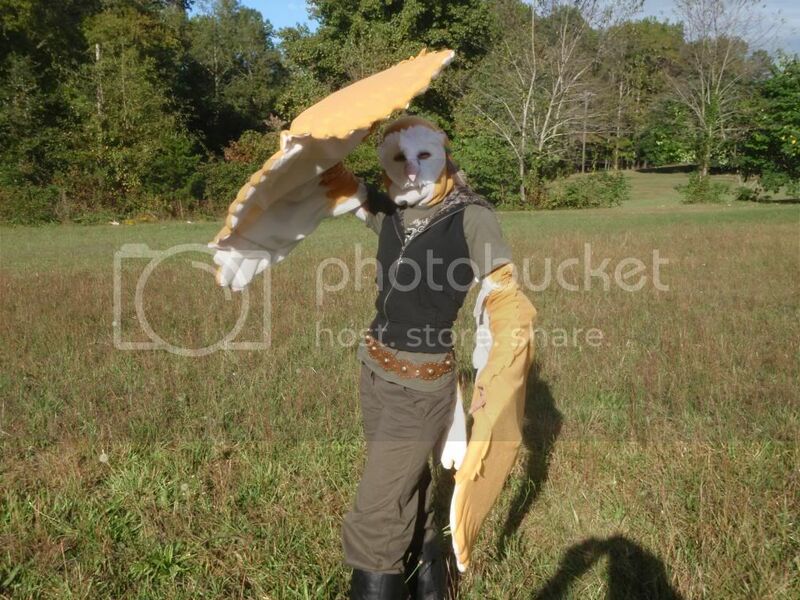 The owl costume I made is fleece, (And is very similiar to a fursuit) and I can wear it outside in the heat of the day, running around, for hours without a break. Ah, okay. But I'm guessing it'll be a little warm but not blazingly hot. Nice costume btw!! That's funny, all the things I've read have said that fleece is HOTTER than fur because it doesn't breathe. Experience speaks greater though Awesome costume, by the way! I really want a Fursuit, but I guess I'd have to wait; maybe until I leave home. FINISHED HER INTO A PARTIAL WHOO. this girl is super duper breathable and easy to see in. I have EXCELLENT vision, and i hollowed out the muzzle and two lil nostrils so i have extra ventilation. its super fun to blow smoke out of the nostrils hahaha. oh no is the picture not showing up?